Our first newsletter of 2019! 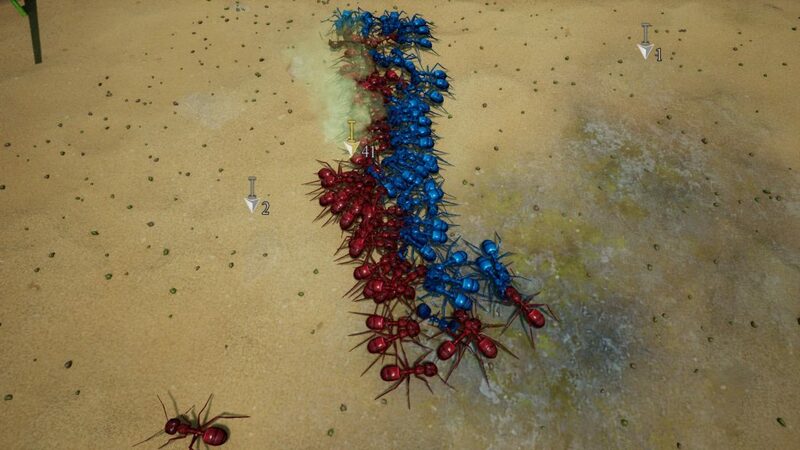 A bright, shiny, spanking new year – and it’ll be a big one for ants. After the holiday break the guys are back to working on the 3rd tier Formicairum levels. We’ve also released a couple of glitch-fixing patches in the meantime to deal with some widespread issues. Firstly, let’s get to what’s ready to show from 3.1 and 3.2. Salticidae is a widespread family of spiders that can be found all over the world. They travel widely in search of food and do not spin webs to catch prey – instead they actively hunt, using powerful back legs to pounce on unsuspecting prey before it had the chance to react. For this reason, they are known as the jumping spiders. 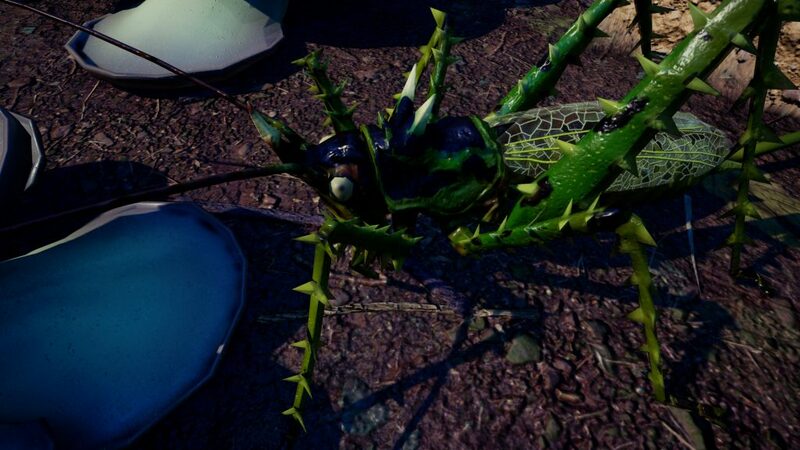 The species that will appear in Empires of the Undergrowth is Psecas viridipurpureus, a South American resident. It’s brightly-coloured, and even a little cute if you can see past its arachnid form! It sits patiently, turning its body from left to right to allow its highly specialised eyes to scan the environment. When it spots a likely prey item, it perfectly calculates the distance it needs to travel, then pounces. The harvestmen are a diverse group of arachnids (order Opiliones). They may colloquially be called daddy longlegs. Although superficially spider-like in appearance, they differ greatly from true spiders in several ways. They have no distinct separation in thorax and abdomen, and only a single pair of eyes. They are further distinguished from spiders by often being generalist, opportunistic feeders rather than predators – a rare trait in arachnids. They might hunt, scavenge or graze. 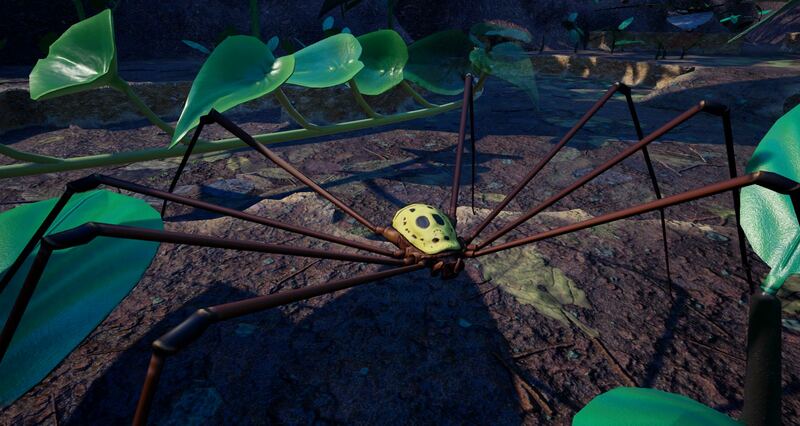 The South American species in our game is sometimes called the “Jason’s mask harvestman” because of the distinctive hockey mask-like pattern on its back. 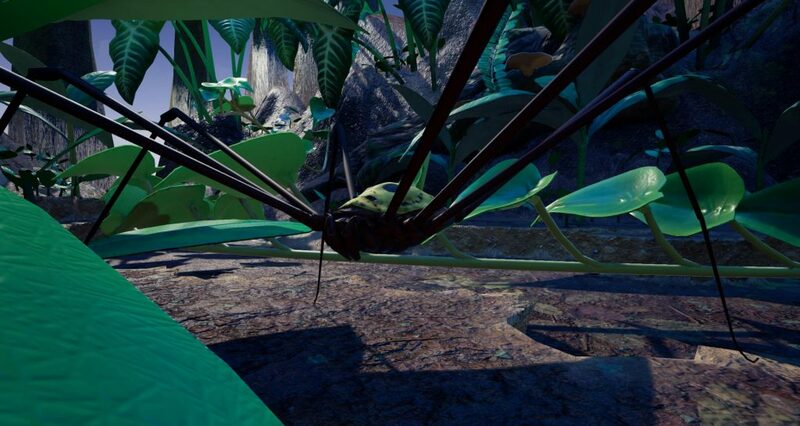 In-game, the harvestman keeps its body at a safe distance from attackers with its long legs – although the legs themselves can be quite brittle. It may have a cursory nibble at a trail of leafcutter ants, but it will make a quick retreat if it suffers an injury such as the loss of a leg. 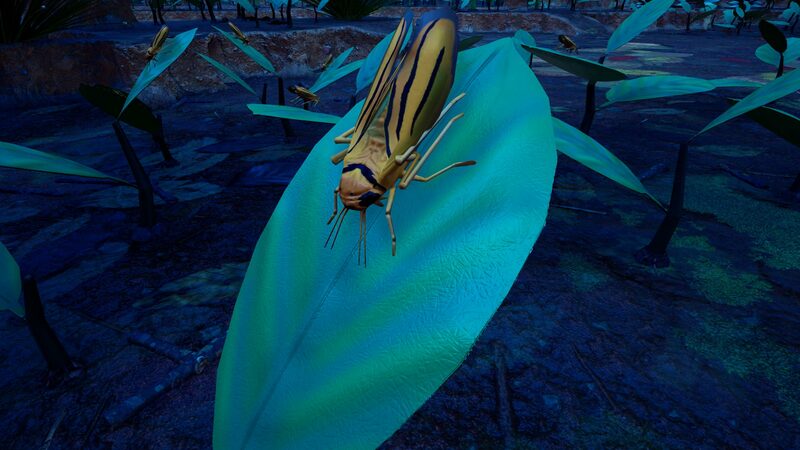 Leafhoppers are small insects that subsist by consuming sap from plants. They’re related to cicadas and spittlebugs. True to their name, when startled or in need of new feeding grounds, they leap many times their height into the air and find another leaf to feed upon. As members of the order Hemiptera, leafhoppers are “true bugs” – insects with specialised mouthparts that feed by sucking. Sometimes when you design a game, you want to include things purely to set the tone and enrich the world. 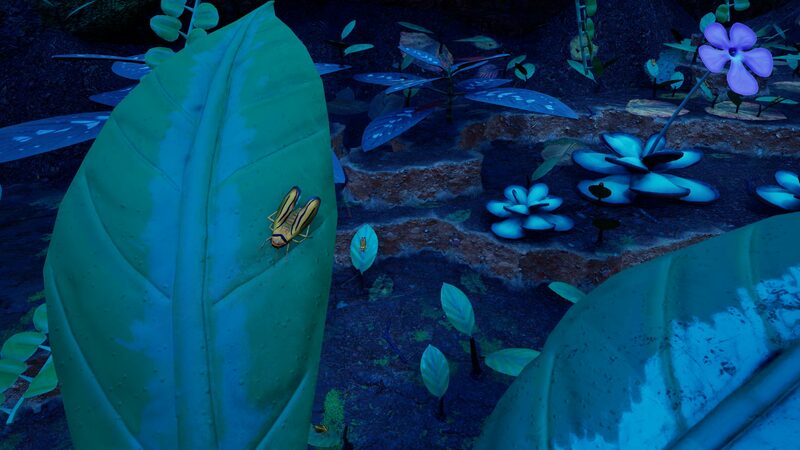 That’s the case for leafhoppers in Empires of the Undergrowth – they’ll appear in the leafcutter levels to bring a sense of biodiversity to our recreation of the incredibly varied rainforests of Ecuador. The leafcutters obviously do not eat other insects, but their leaf-cutting activities will disturb the leafhoppers! What Did We Do In December? 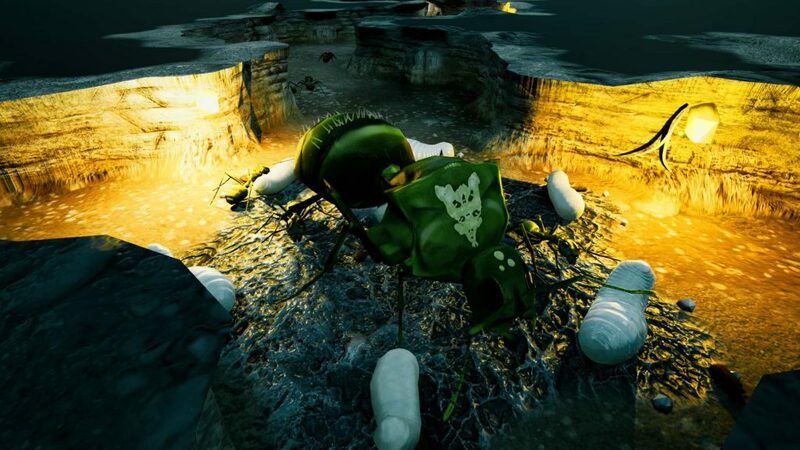 Balance changes to the refuse chambers – in this commit John is referring to a mechanic that will be introduced with the leafcutter levels, the refuse chambers. Leafcutters grow fungus from their foliage cuttings, and the spent fungus produces waste. It will be the job of minim workers to remove waste from the fungus gardens to the refuse chambers. Failure to have sufficient refuse chambers far enough away from the gardens will have a detrimental effect on the workforce. 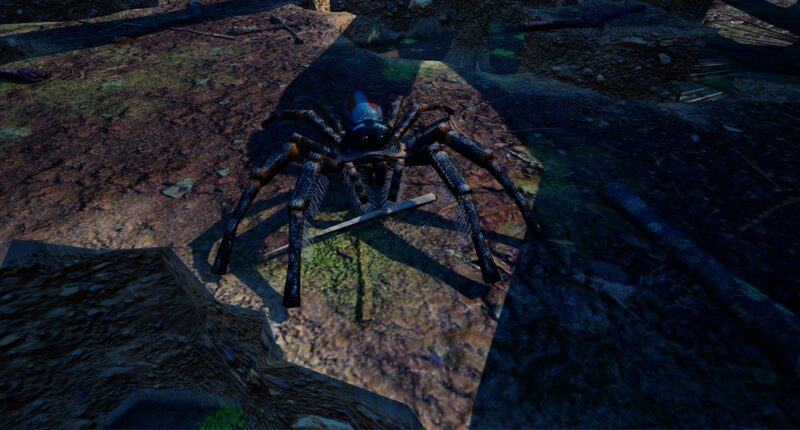 Focus on large creature patrols – we’ve shown you some fairly big new beasts for the leafcutter levels, but we’ve not shown you everything! There are some things we don’t want to spoil just yet, if at all. Medium-sized Spiny Devil – like the beach tiger beetles, hermit crabs and wolf spiders in the 2nd tier, several of the rainforest critters will come in several sizes. This includes the spiny devil, praying mantis and harvestman. See the previous newsletter for details on some of those beasties. 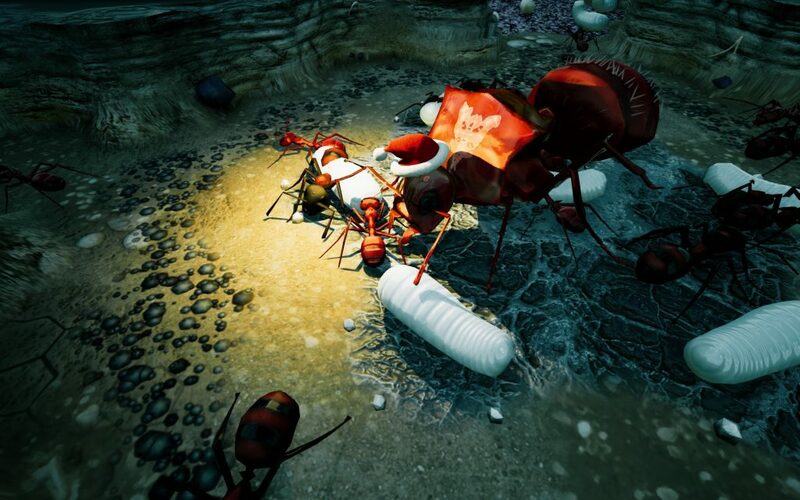 Leafcutter resource system – resource complexity has a step up with the leafcutters, as a natural increase in complexity makes sense from a gameplay perspective. These things need careful implementation and balancing – and that’s an ongoing process. Leafhoppers and a system to manage them – as well as doing the artwork for our decorative leafhoppers (detailed above) Matt has created a system to handle their behaviour. 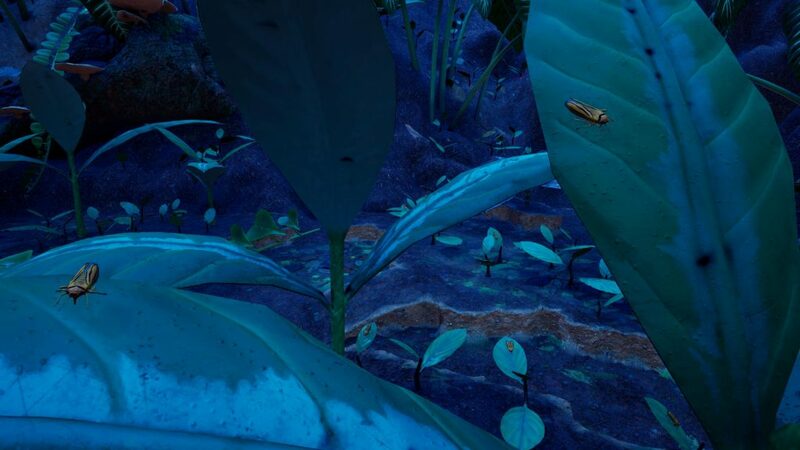 The other denizens of the rainforest won’t interact directly with the leafhoppers (they jump away much too quick) but they’ll still realistically ping themselves away when approached. John hopes to continue these sort of posts on an informal basis every so often – just to give a little insight into the day-to-day work that goes into the making of Empires of the Undergrowth. He’ll only be posting them on our own forums, so this is a good time to get yourselves signed up to them and introduce yourselves to our small but friendly community. We’re getting lots of people (quite rightly) asking how far away the leafcutter update is. We’d like to think that we can recognise things we’re not very good at, and it’s fair to say that estimating our release dates is one of those things. In our experience a missed deadline, even a vague and non-specific one like “winter”, is likely to cause disappointment in our fans and that’s the last thing we want. 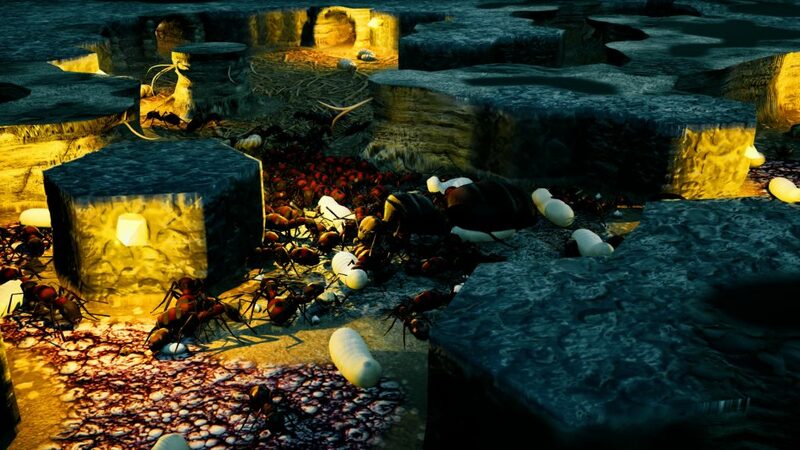 The leafcutter levels (3.1, 3.2 and Formicarium Challenge 3) are each an order of magnitude more complex than anything and everything we did in the 1st and 2nd tiers, and it shows in our current testing. Rest assured, although we are taking our time, we are taking our time to do it right and the results will be worth the extra patience you lovely bunch have shown yourselves to have in abundance. It’s been policy for a while, but to make things explicit – going forward we won’t be giving vague guesstimates – only solid dates when we’re sure of our ability to meet them. 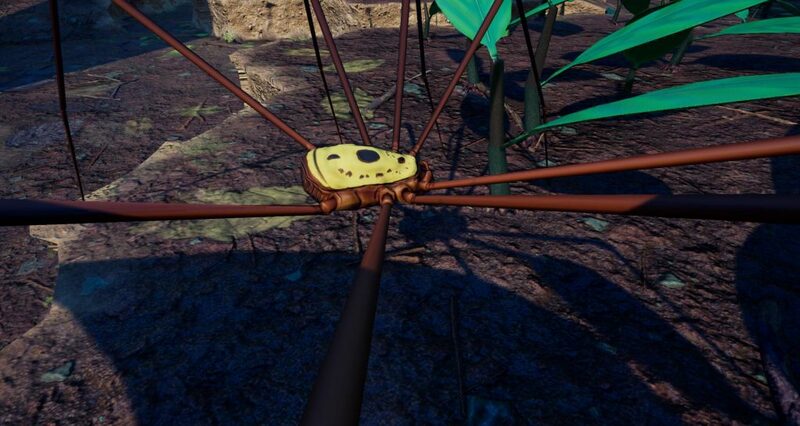 As ever, we love trawling through the screenshots on Steam to find the best of the uploads. Take your screenshots on Steam (F12 by default) and upload them once you quit the game. 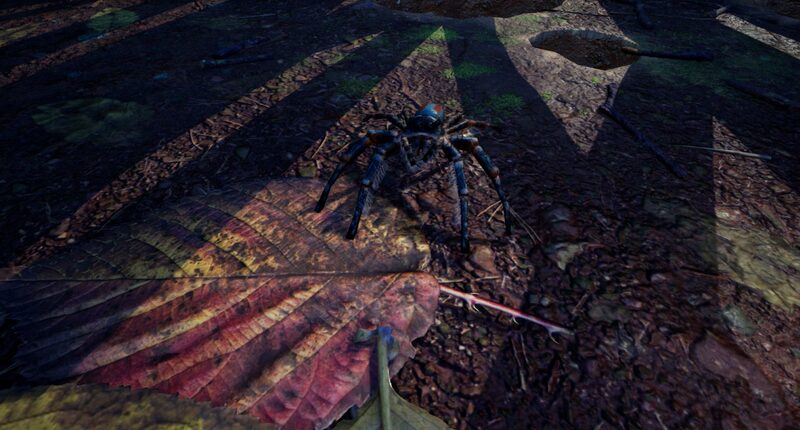 Photo Mode (F9) will help you get some pleasing angles on your snaps! If you’d prefer not to deal with Steam, you can also email your pictures to mike@slugdisco.com.